In a recent blog post, popular writer and blogger Rachel Held Evans addressed the relationship of sin to the lives of Christians. Before I summarize my understanding of her argument, and why I disagree with her, I want to say that I really appreciate Rachel’s demeanor online. From my reading of her writing she is a good model of a Christian blogging and using social media. She avoids sarcasm, mischaracterizing positions she disagrees with to score cheap points, or writing misleading or inaccurate things simply to get hits. Rachel Held Evans is a gifted writer who comes across as doing the best that she can to fairly represent the various perspectives that she engages in her writing. I will do my best to accurately represent her position and to respond to her with charity and fairness. Ultimately, my concern is not to get in an argument with Rachel, but to articulate why holiness matters and is an essential part of the Christian life. The “go and sin no more” thing? Because it’s not going so well for me. I’ve known Jesus for as long as I’ve known my name, and still I use other people like capital to advance my own interest, still I gossip to make myself feel important, still I curse my brothers and sisters in one breath and sing praise songs in the next, still I sit in church with arms folded and cynicism coursing through my bloodstream, still I talk a big game about caring for the poor without doing much to change my own habits, still I indulge in food I’m not hungry for and jewelry I don’t need, still I obsess over what people say about me on the internet, still I forget my own privilege, still I talk more than I listen and complain more than I thank, still I commit acts of evil, still I make a great commenter on Christianity and a lousy practitioner of it. But Jesus pours out his mercy, staying the hand of my accusers again and again and again. I go, stepping over scattered stones, forgiven, grateful, and free. I go, but I do not sin no more. It’s one of just two times in his recorded ministry that Jesus said this – “go and sin no more” – and I don’t believe for a second he expected this woman to do such a thing… at least not forever, at least not for good. I think Rachel gets several things right. I really appreciate her humility and honesty in admitting that she is an imperfect person who needs Jesus and his mercy. And for that matter, I really appreciate the way her faith and relationship with Jesus come through so clearly. I like that the post is incomprehensible without Jesus. And I agree with her that we miss the point of the story if we “turn it into a stone,” to repeat the beautiful phrase she concludes her post with. And perhaps most importantly, I think this is one of the best articulations of the impossibility of Christians living the kind of life Jesus calls them to live that I have recently come across. It is a beautiful articulation of the dominant American Christian belief that sin is inevitable. I, however, strongly disagree with her post for a number of reasons. First, Rachel appears to me to make sin necessary because she finds that she regularly sins. But she provides no reason for why it follows that because I often commit various sins; therefore, I must sin – that it is necessary and inevitable for Christians to sin. I don’t believe it does follow. This is one of the reasons I cringe at the way that experience is used in contemporary popular Christian discourse. Christians too often survey their own experience, their preferences, their habits, or the people they know and whether they seem sincere. They then read those experiences back into the gospel. And so our experiences come to norm the gospel; the gospel does not have authority over our lives and experiences. The consequences of such a move are disastrous for Christian discipleship, which insists that Jesus is lord and not us. I want to be sure that I am not misunderstood here. I am in no way trying to throw Rachel’s honesty about her own struggle with sin in her face. I also struggle with sin. My own list of sins would be long and at least as devastating. I have a lot of room to grow. And I am in no position to throw stones at her or anyone else. Second, it does not follow, however, that because we are both failing to currently live lives free from sin that sin is necessary or inevitable for Christians. This analysis doesn’t even make sense outside of the particularities of Christian living. It would strike me as ridiculous, and my guess is it would seem ridiculous to Rachel as well, if, instead of critiquing the idea of ceasing to sin, she had written a post defending the use of grammatical errors in published writing. The fact that people do often make mistakes in writing does not make that the norm for good writing. It is a failure and we can and should do better. Rachel exemplifies this in her own writing, as it is consistently of excellent quality. Related to this, to make an argument that sin is necessary for those who are “in Christ” would require a much more thorough survey of the writings of the New Testament. Rachel seems to have a hermeneutic of suspicion or at least skepticism towards the teachings of Jesus that is suspect. I am not sure Jesus saying, “Go and sin no more” is on the same level as Jesus saying to pluck out your right eye or cut off your hand if they cause you to sin. And even here, Jesus seems to be using hyperbole to emphasize the incompatibility of sin with the holiness of God. Rachel’s analysis is not able to wrestle with the strong and repeated calls for followers of Jesus Christ to grow in holiness, not by their own inherent awesomeness – but by the grace and power of God. Finally, and most importantly, I think Rachel unintentionally offered her audience cheap grace and not the audacious, ridiculous, almost unbelievably amazing grace that is offered to every person created in the image of God. The hope that Christians can have, on Rachel’s account, it seems to me is to not be condemned even though they are unfaithful. And to learn to not condemn others when they are unfaithful. But she isn’t free, not really. Because she believes she will inevitably continue being a “lousy practitioner” of Christianity. On this side of the resurrection, Christians have no basis for saying that sin is necessary. Christians have no basis for saying that sin is inevitable. On what grounds is it necessary for those who have been forgiven of their sins and been given new life by the grace of God to continue doing things that put distance between themselves and God? Does it happen? Yes. Does it happen a lot? Sadly, yes. Does this mean that it is God’s will? No. Does it mean that it has to happen? No. In the list of sins that Rachel included in her post, which ones are unavoidable? Does she really believe that God’s grace has not given her any power over the discrepancy in her life between talking about caring for the poor and actually caring for the poor? Think about actual sins that you have committed. Do you really believe that in the moment that you committed them that you were powerless to do anything else? When I look back on selfish actions in my own life, it is always clear to me that these actions were avoidable. They were bad decisions that I made. Decisions that make Jesus weep. Christians are able to stop sinning, not because of their own goodness, but because of the grace and power of God. It isn’t something that we can do for ourselves, but it is something that God is able and willing to do in us and for us. Rachel has offered her audience part of the gospel, forgiveness of our sins by faith in Christ. But she has withheld the other part, which is at least as good of news: we are not only forgiven, but the power that sin had on us has been broken. She has mistakenly put forgiveness and holiness in tension with each other. Jesus offers us both forgiveness and the freedom to live faithfully. We do not free ourselves. Those who are in Christ are set free. Kevin…amazing! A beautiful articulation of a Wesleyan (or really Christian) reality. Keep it up, brother. Thank you, Kevin. Some gentle lucidity in a morass of confusion. Kevin…I really enjoyed your post. I can understand that sin is not a “necessity” however I can’t get my head around that it is not “inevitable”. We are born with a sinful nature and imperfect. We all make mistakes and sins. Maybe I am not clear on this one …I guess in my realm of belief and understanding sin is going to happen. We have to live each day turning our eyes and hearts to Jesus to get us past committing sin. However sin happens …. knowingly and sometimes unknowingly. Excellent post, Kevin. The mission of Jesus was to “destroy the works of the devil” (1 John 3:8) and anyone born of God “overcomes the world” (5:4). Paul says we should consider ourselves to be dead to the power of sin and alive to God through Christ Jesus (Rom. 6:11). I think much of the church today, myself being among them not too long ago, live their Christian lives avoiding some of the more serious, hurtful sins yet missing the freedom a live abandoned to God will bring them – freedom NOT to sin. In the middle is a spiritual ghetto, just getting by, and appeasing ourselves by gathering with others who are just as hampered as we. Jesus didn’t die for that. Thanks for this call to holiness! If you, or anyone reading this, would like a bit of theological support for the point you’re making, I wrote a book on this very subject called “Cleansed and Abiding” which I invite you to check out some time! First, I am very glad to find your blog and writings. I believe brother John was right: the idea of being straightened from our bent (or as brother Charles wrote, our power) to sinning, the grand depositum, is the great contribution Methodism still has to make to Christianity and our world. I met Christian Perfection – really met it – about 15 years ago in some fine local pastor education at Garrett seminary. With the scriptural proofs the Wesleys referred to, I was a true believer. Like heaven, though I had not seen it, it sounded wonderful. I spent hours in the library and in my dorm room finding and reading Charles’ hymns about perfection, from wonderfully tactile (even nicely smelly!) volumes of Osborne’s Poetical Works. Even today, as a musician, when I set Charles’ hymns to new tunes I focus on those about entire sanctification. Being more holy, closer to God in nature and relationship, is still a wonderful thing to me. Though I sing of it as an ideal (much as love songs sing of an ideal love relationship), I no longer believe entire sanctification is possible in this life. 1. Much of this change in belief stems from a far less literal understanding of scripture than I once held. I believe we would have to agree to disagree in this area. 2. But why I write today is because much of my falling away also came from experience. Like, Ms. Evans, I simply did not see entire sanctification happening in my life, though I prayed and prayed, sang and sang, over a number of years. The logic in your reply to Ms. Evans is correct: my own inability does not mean something is impossible. Though I cannot bat .300 in the major leagues does not mean no one can. But if I were in the minor leagues struggling for years and were just never able to hit very well, I would certainly come to doubt that it was possible for me. My experience of the world (sorry, John and Albert) would lead to frustration, disenchantment, and eventually either giving up on being a major leaguer or wisely moving on to some other endeavor, however one wants to see it. (Perhaps I would become a pastor – uh, I mean hitting coach in this analogy – and teach others to do what I was unable to do!) I would still believe hitting .300 in the majors possible for others, however. This is because I believe others have done that. 3. However, with Christian Perfection I – to the best of my knowledge – have not known anyone else to be so perfected. Nor in my reading of history do I see such people. I know the brothers Wesley thought they had known some, but thinking psychologically, I have doubts about their objectivity. So with all that, I quite naturally now doubt it as a real possibility for anyone. To stretch the baseball analogy, it would be like trying to believe it is possible to be a perfect hitter in the majors though no one has done so. You can tell me it’s possible, give me probabilistic proofs of why it is theoretically possible . . . but if no one has done it in 113 years of the modern era, that sure makes it seem impossible to this observer and thinker. So aside from the logic, it is very normal, very human, for Ms. Evans to question whether something is possible when countless instances of experience have shown her it is not. “Keep trusting the Wesleys’ interpretation of the writings though they contradict all your experience” is a tough sell. I so appreciate the Wesleyan idea of “going on to perfection” or “being made perfect in love in this lifetime.” the question that arises is this – if we cannot be perfect and we simply have to live in grace, then how holy do I really need to be? IF perfection is not attainable and grace abounds, is there any reason for me to really strive toward greater holiness? Thanks for the great job of articulation is consistently bring to the table. Thanks for the article. I’m Reformed, but I attended Asbury for seminary and have some affection for Wesley’s view of sanctification — though not totally. Even if we cannot be perfected in this life in terms of sin, sin should be the exception and not the norm for the Christian. We should not be taking the “what is” as grounds for the “what has to be.” A transformed and still transforming life is a hallmark of genuine belief. If you slide in problematic areas, if those sins point out the depths of your depravity to you and you are more aware of them, God is likely working on those places. But if your sin life is totally unaffected by your faith, your faith may not be faith so much as wishful thinking. The best paragraph ever. Thanks Kevin. Thank you for this wonderfully Wesleyan articulation of sanctification. As one commentator mentioned above, this is perhaps the greatest gift the Wesleyan tradition has to offer the church, and why like you I find the absence of Wesleyan voices with larger platforms to share this gift with the church a tragedy. Far too many have bought into the popular American Evangelical understanding that Jesus died to set us free from sin’s consequences alone. As you point out, this is a dangerous half-truth that denies Jesus’ power to work in our lives through the Holy Spirit to withstand the active and ongoing influence of sin in our lives today. As you point out, to deny the Spirit’s ability to free us from sin’s influence, and to succumb to the notion of sin’s inevitability is to hold that sin is greater than God. Either that, or it reveals a Pelagian subtext in one’s theology which holds that whatever degree of holiness I may attain is arrived at through my own efforts and endeavors, rather than through the power of the Holy Spirit working in my life. That being said, I understand the sentiment behind RHE’s comments, and those of some who have commented here. When faced with the empirical evidence of sin in the lives of those who claim the name of Jesus, and who earnestly pursue holiness, myself included, it is easy to draw the conclusion that sinful attitudes and behaviors must be inevitable. Likewise, when I see a brother or sister whose struggle with a given sin has resulted in an unhealthy, abusive level of self-mortification, I have to believe the heart of God breaks. Moreover, when confronted with the self-righteousness of many who seem most zealous about holiness, it is easy to conclude Jesus didn’t die for that. This whole issue of holiness/sanctification/sin in believers is in many ways a double-edged sword. If I concede the inevitability of sin, I run the risk of embracing for myself and promoting in others a very lackadaisical attitude about sin, something which I do not believe reflects the heart of God. Likewise, if I press the issue of Christian perfection, I run the risk of embracing and promoting self-hatred in those whose sin persists and self-righteousness in those who are blind to their sin. Again, something I do not believe reflects the heart of God. I always find great comfort in the fact that while John Wesley never professed to have attained the state of Christian perfection, he never abandoned the notion that Christians can be made perfect in this life. By God’s grace, may we never abandon the hope that we can be made perfect in this life, not because we can always “try a little harder,” but because the One who is at work in our lives is greater than any struggle we may face. I indirectly fell into a conversation along around this topic in general. The people I was talking to held a position similar to Evans but this conversation was concerning children and young adults. That, in my opinion is wrong. We do not have to expose ourselves to bad things just because they exist. There are things, places and practices that are better no child ever sees or does and places, practices and things we adults may be better off not seeing or being exposed to. Good words. I often read RHE and want to compliment you on how well you articulated your esteem for her and then took up your argument without malice, cheap shots, or bias. You track pretty closely with what one of my profs at Asbury (Mary Fischer) had to say about holiness and God’s gracious ability to available to us so we might live more perfectly with God and one another. It will be interesting to see if she dialogues with you on this and where the conversation goes. If it does happen, I have every confidence such a conversation will be conducted fairly, articulately, and intelligently. I don’t think that Rachel named that context very well because it’s such a familiar ubiquitous daily trope to those of us immersed in evangelical discourse. But her post sounds very different if it’s read as a means of justifying her own “sinning all the more that grace may abound” versus her saying I don’t have any right to throw stones at other people because I will always fall short of the glory of God and the fact that Jesus said “Go and sin no more” doesn’t give me the proof-text I need to put that stone back into my hand. We should always be striving onward to perfection and part of that perfection is being all the more harder on ourselves and more generous with others the closer we get. Holiness ought to make us more adept at eating and drinking with sinners because we have less and less pride, idolatry, and corruption that we’re carrying with us rather than making us less and less tolerant of other peoples’ brokenness. William Sangster’s book The Pure In Heart is a wonderful articulation of holiness of heart and life, and spends a fair amount of time with illustrations from people who both have claimed to be entirely sanctified (such as John Fletcher, Vicar of Madeley, of whom the atheist Voltaire said that he was the most Christlike man he had ever met) and those who have not claimed it but shown uncommon godliness in their lives regardless. Rev. Sangster is a recently discovered treasure for me. His book “Methodism Can Be Reborn” is one of the best I’ve read in a decade. Thanks for the thoughtful and gracious response. You’ve brought some fantastic insights to this conversation that are true and important to consider. Really, I think you’re engaging this story in the exact way I was trying (imperfectly) to advocate it be engaged – with introspection, focusing on your own sin and your own liberation from it. You’ve put yourself in the shoes of the adulterer, charged with leaving her life of sin, and I think that’s wise, My real aim with the piece (which was intended to be less theological and more creative) was to recapture the thrust of this passage as a challenge to those who would merciless condemn sinners, as if they too are not sinners. As Morgan mentioned, this is in the context in which I most often hear this passage cited – as justification for treating certain people or groups (often gay and lesbian people) mercilessly. I probably made the mistake of making Jesus’ response to the woman sound too flippant – I think he was serious about urging her to turn from her sin. But I guess whenever I read this passage, I identify most with the Pharisess – the dudes so focused on the sins of other people they are blind to their own. This is only perpetuated when the only takeaway” from this passage is that Jesus told people not to sin so it’s our job to tell people not to sin. Again, I’m probably reacting to the ways in which this passage is most often used in my own context, which 9 times out of 10, is to condemn other people. I guess I just find that ironic. But I should have been more careful with the text, or been more clear about the seriousness of sin and the fact that Jesus does indeed liberate us from it. Great engagement here Kevin, Rachel, & others. One point on Romans 7: this is most certainly not Paul describing his struggle with sin. Virtually no leading commentators believe it to be Paul. It is rather Paul’s impersonation—a common ancient rhetorical technique—of the “person” under the law, possibly the Jew or possibly even a reference back to Adam (remember ch. 5). The person in chapter 7 is contrasted with the person from chapter 8, who is in Christ and living according to the Spirit. My testimony is such that I needed it to be true that God doesn’t want to just make us better, but new. 2 Cor. 5:17, that we are new creations in Christ, that the old has gone and the new has come, is either the promise of the gospel or it is not. If it is not, then there is no hope for any of us. I believe Wesley’s take on sin, and the joyful obedience that comes through a life of sanctifying grace, is the thing most missing from our churches today, and the one thing that if revived, could renew not just our own lives in Christ but the Church universal. It is a very different thing to rejoice in the sanctification of being purified of our own sin than to puff up our chests with the self-justification of saying “Go and sin no more” to other people. The former is indeed blessed; the latter is demonic. Unfortunately many evangelicals use this story in abstract arguments about the gay issue to justify doing the latter. So Jesus was demonic for exhorting one to go and sin no more? I would agree that it is dubious at best, demonic at worst, to point someone on a journey one has not been on themselves. However, if a person has found freedom from sin they would be derelict in their duties to not exhort others to the same. Not in any self-righteous, puffed-up sort of way (which would betray the whole thing anyways) but in the same way a father might encourage a son that he can, in fact, ride a bike without training wheels. Brother, let me say this in my best southern vernacular. “We ain’t Jesus, we gonna sin.” It is inevitable and certainly the concept that we will not sin is not Wesleyan, which is reality is Wesleyan-Arminian. It’s just farcical to have this kind of conversation in the abstract. Of course within real genuine pastoral relationships, we should exhort and encourage others in their spiritual battles with sin when we have built enough trust that it won’t just push the other person away. But we have to be cognizant of the paradox that the most sinful thing that we love to do is to talk tough about other peoples’ sins (usually as a means of obfuscating our own). This rarely occurs in the context of a legitimate discipling/accountability relationship in which it would actually be appropriate but with the tough words that we put up on our facebook walls to make a showcase of how serious and sober we are about our holiness. Sometimes the hubris is the one thing that stays consistent before and after we are delivered from particular sins. Let me amend my earlier comment (thanks to a friend on Twitter who caught my exaggeration). There are some scholars who think the “I” in Rom 7:14-25 is autobiographical, thought they are a minority view. Even Douglas Moo on Romans in NICNT, hailed my many in the Reformed tradition to be the leading Romans commentary, does not believe it to reference the Christian experience. But most readers assume this is true because of popular tradition passed on through Augustine, Luther, and company. A careful reading of that section in light of the rest of the book (remember Adam and Israel), in light of 7:9; “I was once alive apart from the law, but when the commandment came”—which could not be Paul, and comparing “For we know that the law is spiritual; but I am of the flesh, sold into slavery under sin” (7:14) with Paul’s clear autobiographical remarks in Phil 3:6, “as to righteousness under the law, blameless” just reinforces that this cannot be Paul. All of this to say, the Wesleyan understanding of sanctification does not stand or fall with this passage, as is too often assumed! Rachel (I hope you are still here) and Morgan, posts and comments like these beg the obvious question for me: Where are all these vile, stone-hoarding Christians which your posts and comments describe? Because to read some of this the impression is they are everywhere. Yet that is not my experience at all. Rachel, we worshiped together just a few weeks ago – were there any stones to be found in our friend’s sermon, or in the congregation who gathered? I saw none. And I assure you that if you visit my church (where you are welcome anytime) you won’t find any here, either. Yes, you will find a call to be holy, and that call begins with myself, but that is a different thing altogether, wouldn’t you agree? I can’t help but feel that your post, Rachel, and your comments, Morgan, are but caricatures of the very worst among us and the reality is one far less diabolical than you would lead us to believe. In my experience, the one’s who cry foul the loudest, who see a Pharisee behind every rock, after getting to know them a bit more I discover they tend to be full of pride and have a rebellious heart. Perhaps it is not so much stones they fear, but conviction, and rightly so? This is a very charitable engagement with Rachel and a very sound offering of the Gospel. Grace…but not the cheap variety. Well done. Thanks. I want to apologize. In my haste to get out the door this morning my tone above was far more blunt than I intended. Perhaps there is a lesson in this, at least for me. Perhaps those who say “go and sin no more” are not Pharisees (Rachel) or demonic (Morgan) but just in a hurry? Is there enough grace for them, too? peace. Wow…is all I can say. After reading everyone’s post I have come away with a lot of stuff to think about. I want to thank everyone for all your insight. It has opened my eyes and heart to a different way of thinking about sin. My only caution in reading this piece (which, like Rachel’s original piece seems to have incredible balance) is to note that I have never met a fully sanctified Christian but I have met many people who think they are. As was stated by both writers, they do that by way of weighting other people’s sins more heavily than their own. I call it “my own flatulence does not stink.” Sorry to be graphic, but that is about what it is . . . I am, by nature, introspective (although an extrovert, go figure . . .). I see many who regard themselves as thoroughly sanctified but actually are just not, by nature, introspective people. Therein lies a paradox. Yet, He is the potter and even the “big picture folks” are the clay–and their personalities are as inborn as is mine. So I am not into condemning people for not being introspective. I am only into being aware that their “self reports” are not accurate. They don’t see sin in themselves because they have never trained their hearts to look for it. More on the discussion by Rachel Held Evans of Christ’s command to “go and sin no more.” A Wesleyan weigh-in. This conversation has already taken place very thoroughly, so it’s with much trepidation that I offer anything more. I have struggled with the notion of Christian Perfection ever since I heard of it in seminary. All along our journey, it has been a struggle for Methodists to speak of it seriously, as for most people it sounds completely fictitious. Something Wesley himself did to combat this was to lift up examples of those who had actually reached the point of Entire Sanctification. To be able to point to someone, name them, and tell their story is a necessary tool. Otherwise we really are just talking hypotheticals here. From the beginning of my ministry I have known that I need to be able to lift up others, as I haven’t been able to reach any place worth imitating in my own faith life. I have so far failed. That is partly because I’m lazy, but also partly because Christians haven’t really been interested in talking about perfection seriously for at least a century now. We have bred expectations that are increasingly low for Christ’s transformation to take place in our lives, such that it is now unreasonable to look for one who has been so converted as to have been truly freed from sin. Expectations breed what we receive. Wesley expected a revival, and he got one. He expected to see Christian hearts perfected, and he saw that, too. Can we be as bold in our expectations, and can we work as tirelessly in their furtherance as Wesley and the early people called Methodists did? I think so. And I think the first steps in reclaiming this are by doing what this article does: by entering into respectful dialogue with the voices of permissiveness and firmly saying, “no.” Thanks, Kevin. Chad, I don’t take anything personally that God doesn’t intend to use personally. God does a fine job of convicting me though usually it happens not through people trying to confront me about what they think my sin is, but when people shine with the love of Christ so richly that I despise those parts of me that don’t. I just want you to stop performing. You weren’t all wrong before, you aren’t all right now, and you don’t need to prove anything to anybody. I say that because I love you. I prayed for you often when you were in that place. I worry that you are overreacting to who you were and caricaturing other people whom you see as being like your old self as a result. I am encouraged by the depth and extent of the conversation here. As I said at the beginning of the post, my goal was not to get into an argument with Rachel, but to articulate why holiness is essential to the Christian life. I want to reiterate that my understanding of holiness is not something that is about what we can do for God. We are desperate for God’s grace. But I believe that Christian discourse too often puts God’s pardoning grace in opposition to God’s healing and sanctifying grace. Christians should not disparage holiness because it is what God wants for us and what God makes possible for us. And, sanctification (holiness), like justification (forgiveness or pardon) are both by faith. If the possibility of holiness is articulated well, it is incredible news. We can not only be forgiven, we can be released. The significance of this seems evident to me when you think about addiction. Addicts need not only forgiveness, but freedom from their addiction. And the gospel tells us that we are addicted to sin. Rachel, First, thank you for tone and substance of your response. I appreciate it. The main place where I would push back a bit is in your assertion that the story of the woman caught in adultery is used “9 times out of 10” to “condemn people.” I don’t doubt that you have experienced people misusing the passage in this way. But your description feels a bit like a caricature at times. In my own experience, I have never seen or heard someone use this story in the way that you describe. And it seems that when you and others make strong statements about how judgmental evangelicals are, they are usually assertions that lack concreteness. (It may be that you are intentionally trying to be charitable by not calling out specific people.) But it also makes me feel compelled to say that the vast majority of evangelicals I know do not fit the stereotype. I worry that the way you represent contemporary evangelicalism largely serves to stoke the prejudices that your audience already has about evangelicals. In other words, my guess is that the “problem” that you identify in your post is not one that a very large percentage of your audience struggles with. But I suspect that a significant percentage may enjoy (maybe a bit too much) pointing out the sins of contemporary evangelicalism as they see it. I know your intent is not to place a different kind of stone in your audiences hand. I wonder if, on the other hand, a call to the radical possibilities of transformation by the grace of God would be a more challenging word to the majority of your audience. Having said that, avoiding inflaming the prejudices of one’s readership is an enormous challenge in this medium that I am struggling with myself. Re. Christian perfection, I hear you. It is a tough sell. I love making the case for it in classes I teach, but it raises some difficult questions about our lives and the God we worship. On the other hand, it is the most audacious word of hope Christians can offer a broken and hurting world. Thank you to all of you who have taken the time to read this post and comment. May the Holy Spirit give us a God-sized vision of what is possible through faith in Christ. And may the one who gives us the vision make it so. I’ve been reading through Mr. Wesley’s discourses on the Sermon on the Mount, pretty carefully. To get our minds around Christian perfection/sanctification/holiness, requires grasping Wesley’s conviction that true, living faith in Jesus Christ (a recumbancy on his grace) is accompanied by an actual ontological change, again through the gracious action of the Holy Spirit. The change starts in our inner desires, affections, tempers, dispositions. That inward change begins to produce change in words and actions as well. Christian perfection is the goal of the Christian life. It produces tempers and dispositions reflective of the nature of Christ (image of God renewed, mind of Christ, etc.). It results in singularity of purpose – to glorify God above all else. It does not mean that we cease to struggle with temptation or that we don’t feel mixed motives. It does mean that we can recognize mixed motives and disordered desires as such and, depending on God’s grace, stay firm in our love for God and neighbor. 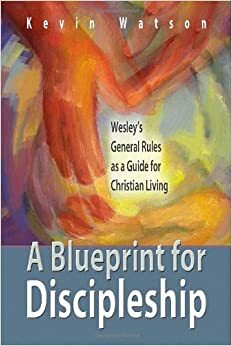 One quick shameless plug: I, too, have written a book that tries to couch this discussion in terms that avoid the “perfection” dilemma and still gets at what Wesley believed was non-negotiable about Christian discipleship. Aiming at Maturity: The Goal of the Christian Life (wipf and stock 2011). Steve, I just recently started reading Aiming at Maturity after having read your blog for some time. 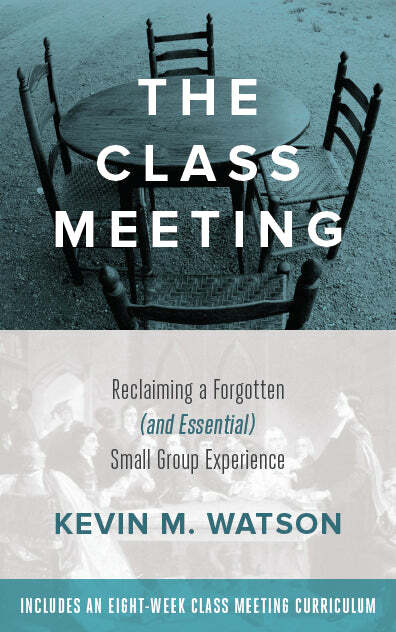 So far I am finding it to be a helpful case for the Wesleyan understanding of what God does intends to do in us. Those who keep bad company. Remember when the disciples stopped sinning ? Who were they learning from? Who were they walking with ? And even later, WHO were they walking and living in union with ? (hint: Jesus)(hint hint: see HOW MANY TIMES “in union” with is written ? Walk with people who sin, and you will sin.